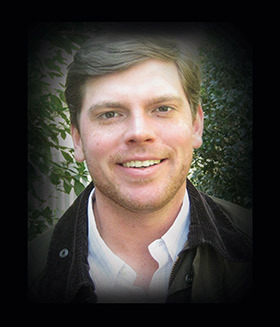 Combining a love for the outdoors and equal affection for public policy and politics, Ben Stowers found a niche as executive director of the Georgia Natural Re-sources Foundation (GNRF), a private nonprofit started in 2010 to support the mission of the Department of Natural Resources. The foundation, funded solely by grants and donations from organizations and private individuals, was created in response to the department’s shrinking budget, a trend among state wildlife agencies nationally. He interned in Wash-ington, D.C., for Rep. Phil Gingrey before graduating in 2008 with a degree in political science and spent some time working on Gov. Nathan Deal’s gubernatorial campaign. After the election, he found a job with the DNR in public affairs and communications, getting a firsthand lesson in the ins and outs of public policy. One of Stowers’ tasks at DNR was setting up the GNRF, steering it through the lengthy 501(c)(3) application process and tending to the administrative details. In December 2012, he was named executive director. In a little over a year, the GNRF received more than $500,000 in donations and grants, including one for $100,000 from the Walmart Foundation, and awarded $172,000 in grants including funding Georgia Outdoors, Georgia Public Television’s long-running program. GNRF monies helped build artificial reefs and restore oyster habitats off the coast; contributed to the creation of an augmented reality educational project at Camp Lawton, a Civil War prison site located at Magnolia Springs State Park; and purchased equipment for search and rescue teams serving Georgia’s state parks. In early January, the foundation approved $76,600 in grants for projects ranging from scholarships for children to attend a wildlife camp to the development of an activity book for children, Marsh-mallow Gumbo, by Jim Jink-ins, creator of the popular Nickelodeon cartoon, Doug.